The British Otter is my favourite species of otters. Their face is just different from the other species. 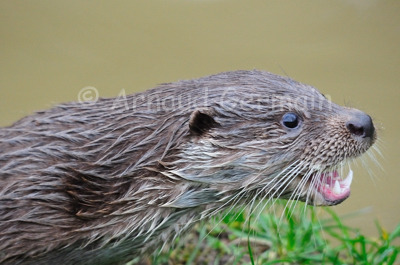 I took this picture at Tamar Otter Sanctuary and Wildlife Park in Cornwall. I used my 500mm balanced on the fence for stability to take the shot as the otter was coming out of the water to be fed by one of the keepers.